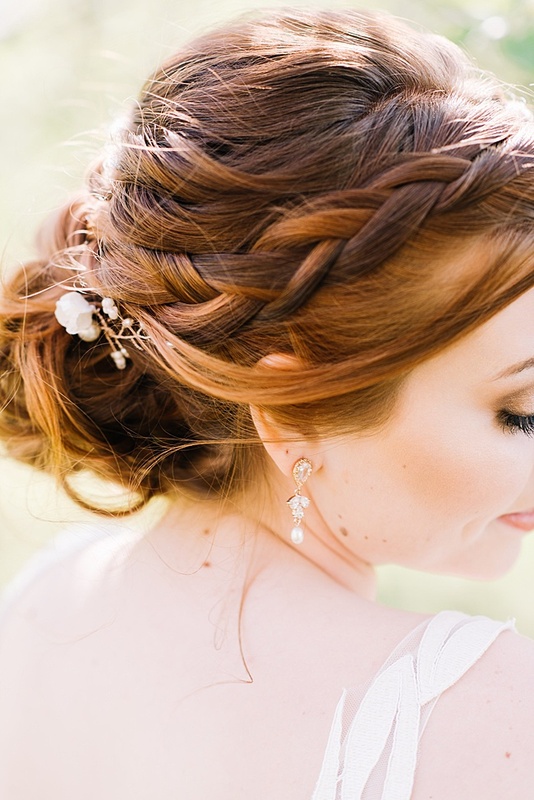 Today we are sharing our favorite photos from a recent Shakespeare inspired bridal photo session. Many of Shakespeare’s most iconic scenes take place in gardens and forests (enchanted or otherwise). 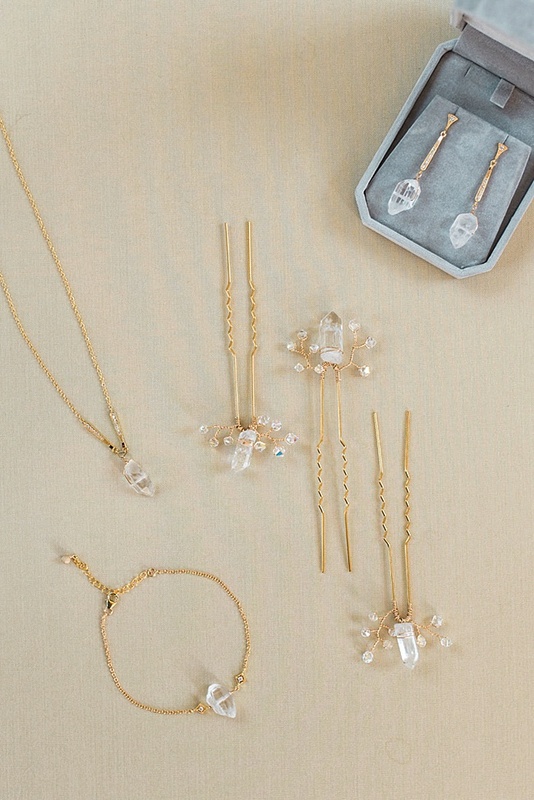 So, our botanical jewelry collection really sets the stage! 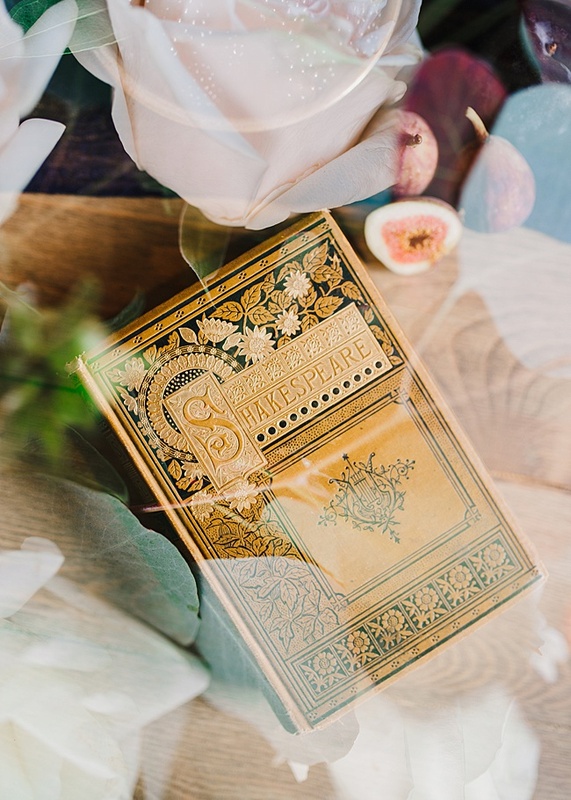 Photographer Katherine Callahan dreamed up this Modern Much Ado About Nothing wedding style idea after she rescued a beautiful edition of Shakespeare’s works from a garage sale. Initially, she was drawn to the collection’s stunning cover art. Then, upon opening the book she became bewitched by the handwritten notes inside from the original owner, who lived during the 1800s! 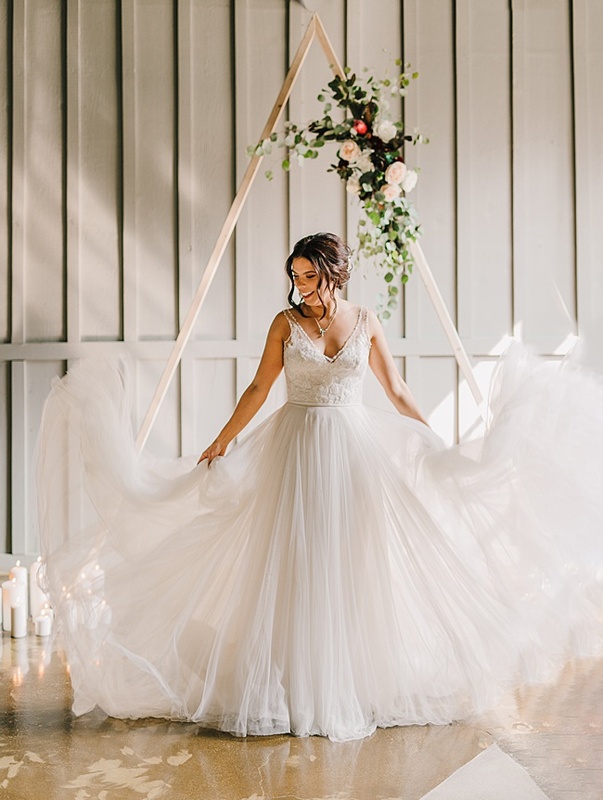 When Katherine pitched us her vision for this style bridal editorial, we jumped at the chance to collaborate! 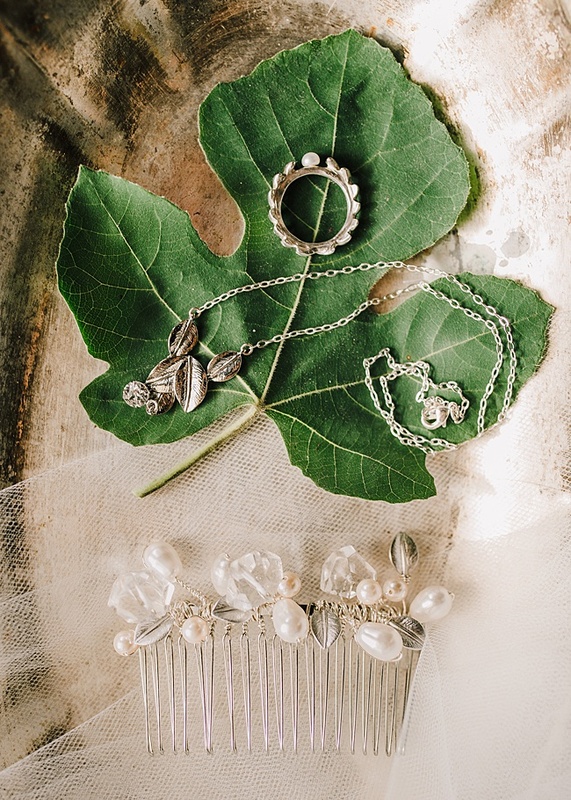 And while we’re big Shakespeare fans here at J’Adorn Designs, we think our botanical jewelry pieces take center stage. 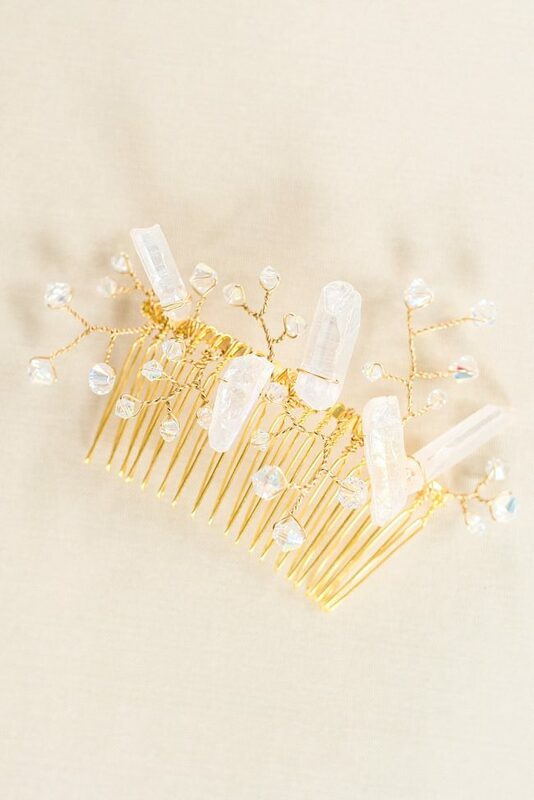 Our much loved Modern Geometric Crystal Hair Comb is especially perfect for this look. 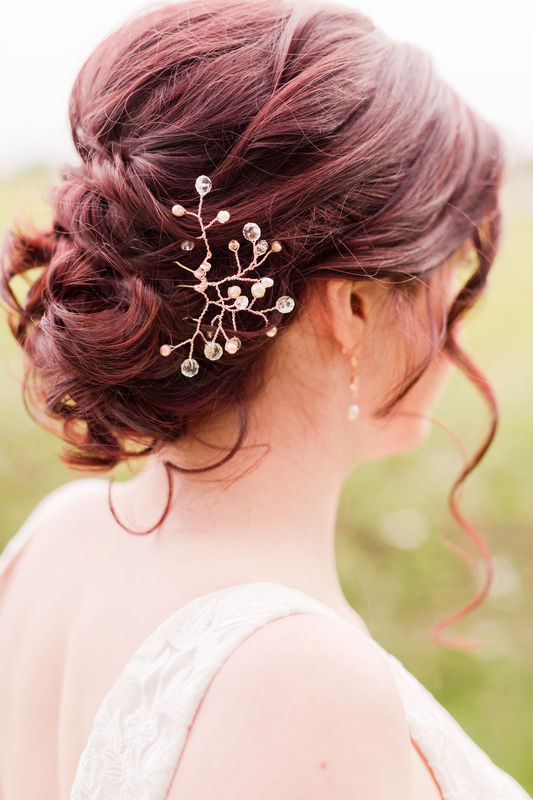 That hair piece shines with botanical whimsy! 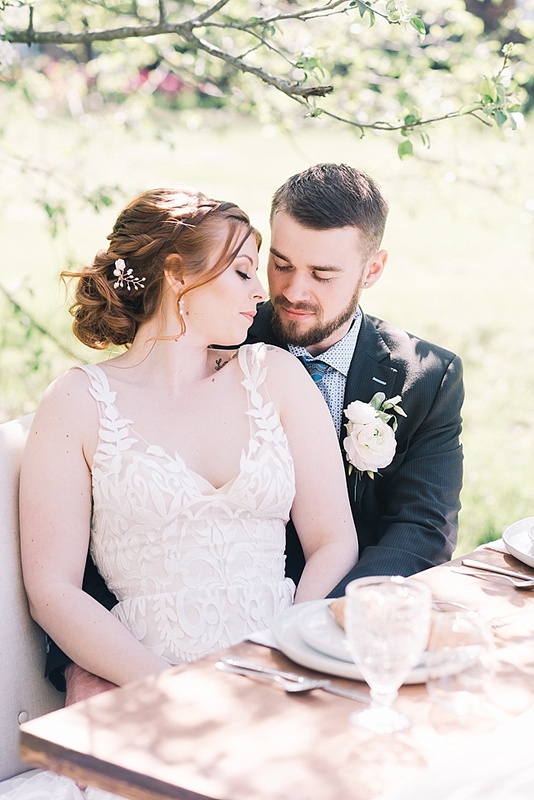 Altogether, Katherine’s MODERN vision for this Shakespeare inspired styled shoot is a captivating one. We appreciate how she dreamed up all the romance and depth of Shakespeare without letting it slip into a Renaissance Faire vibe. So, the resulting look is whimsical while still being sophisticated. 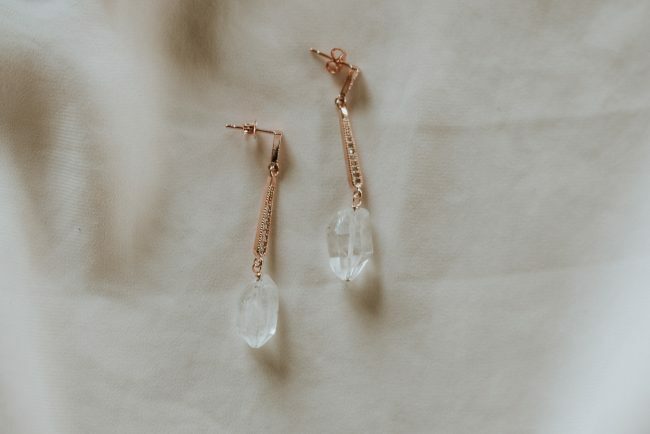 Our one-of-a-kind Vintage Crystal Leaf Earrings add just the right touch of sparkle while carrying that natural, organic vibe with their clustered shape. 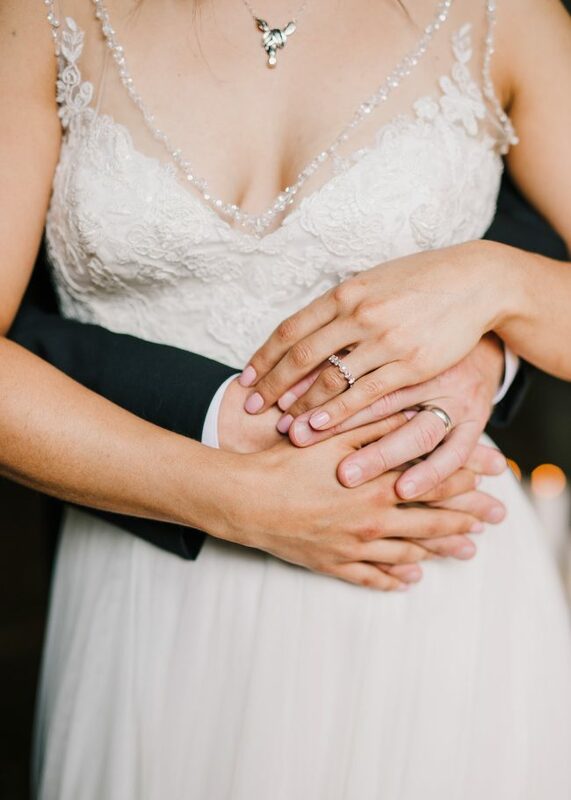 Because our silver Vine and Pearl Ring is feminine and delicate, it makes the perfect custom engagement ring for this feature. Currently, this ring is not listed in our shop. However, if it’s put a spell on you, please contact us! 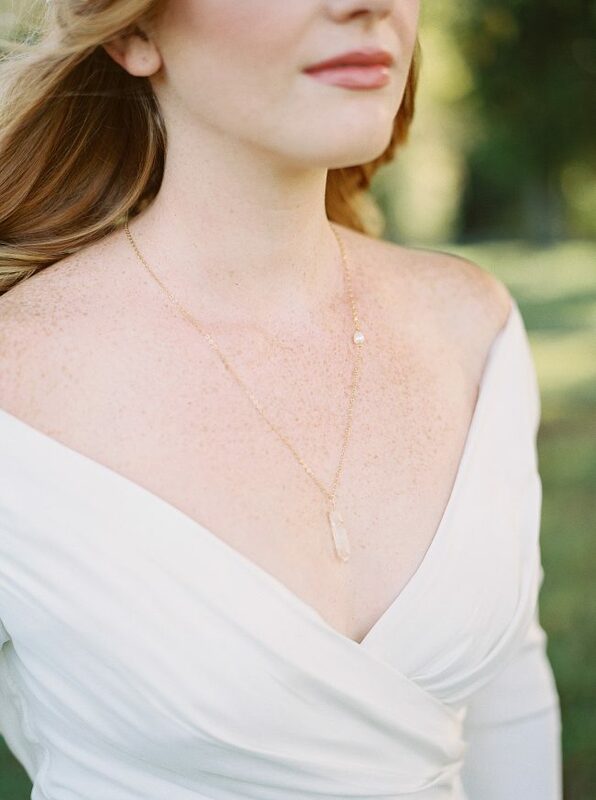 Below, you’ll find the bride wearing our Silver Leaves and Crystal Pendant Necklace. It is beautifully framed by the gown’s neckline and compliments its beaded detail without upstaging the overall look. 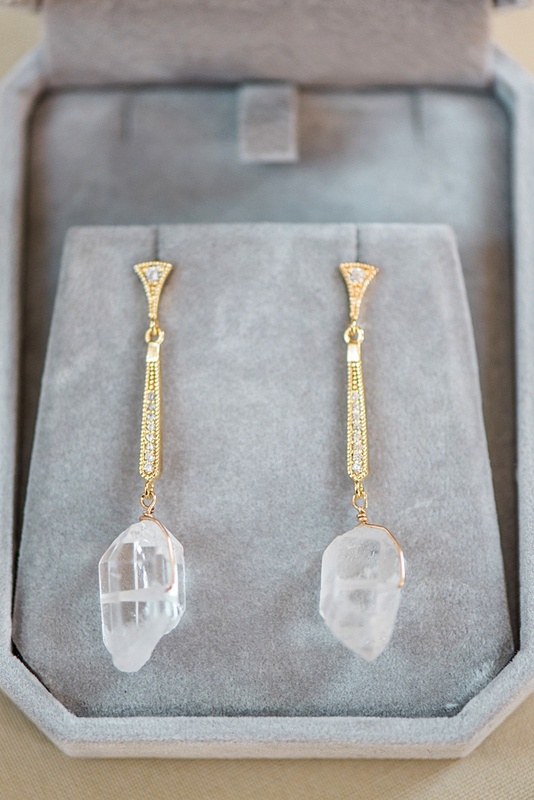 J’Adorn Sparkles at Baltimore Museum of Art! What an exciting season this has been for us here at J’Adorn Designs! 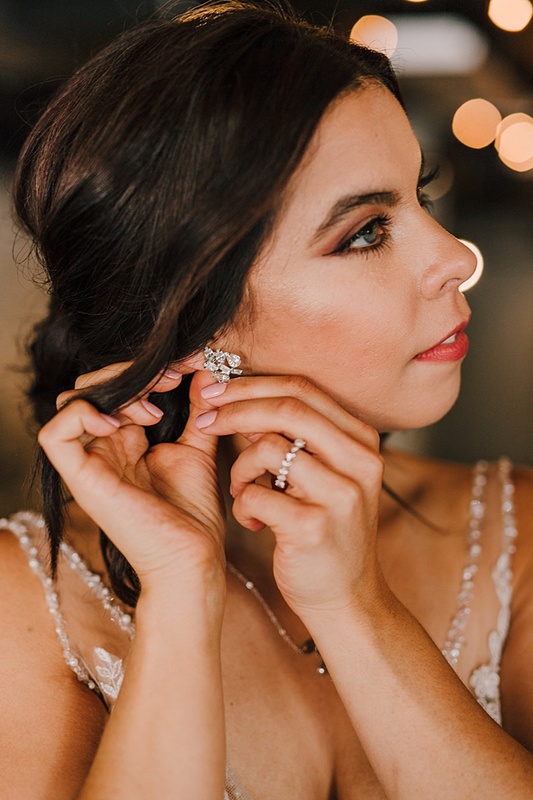 From winning the 20 on the Rise Award to welcoming our new team member Betsy, this has been a year of rapid growth and new developments for our little artisan jewelry studio. And the announcements don’t stop there. 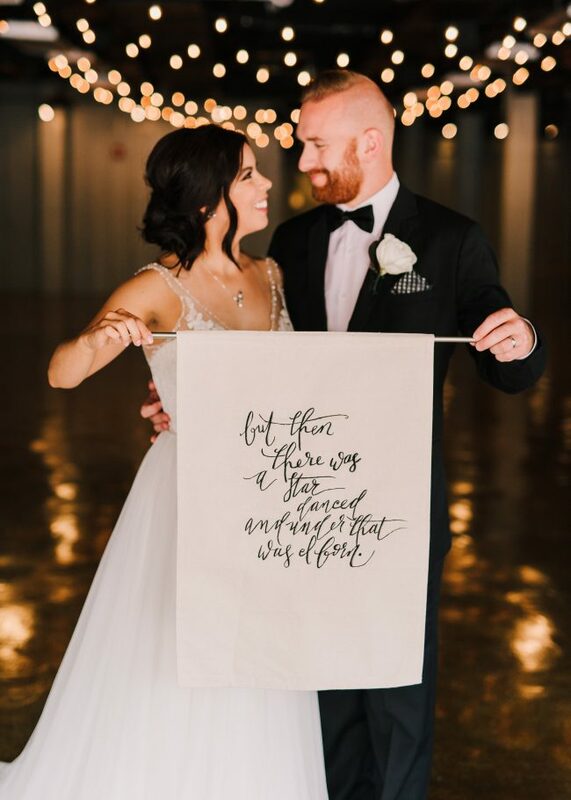 We have another one to share! 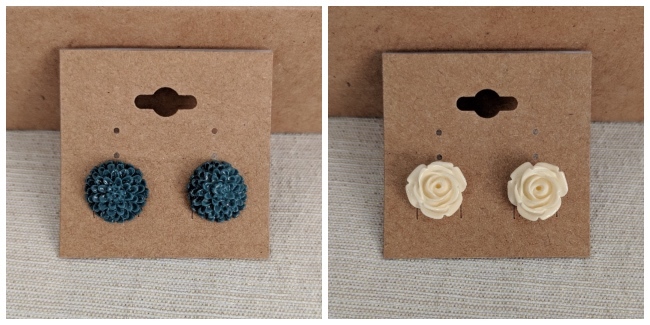 Starting now, you can now shop J’Adorn Designs handcrafted jewelry and hair accessories at the Baltimore Museum of Art! We’re thrilled to add the BMA’s gift shop to our esteemed list of stockists. If you’re a local friend of J’Adorn, be sure to stop in and see us in their display case! And just in case you’re curious which pieces to look for, here’s a look at the pieces that are currently for sale at the Baltimore Museum of Art. 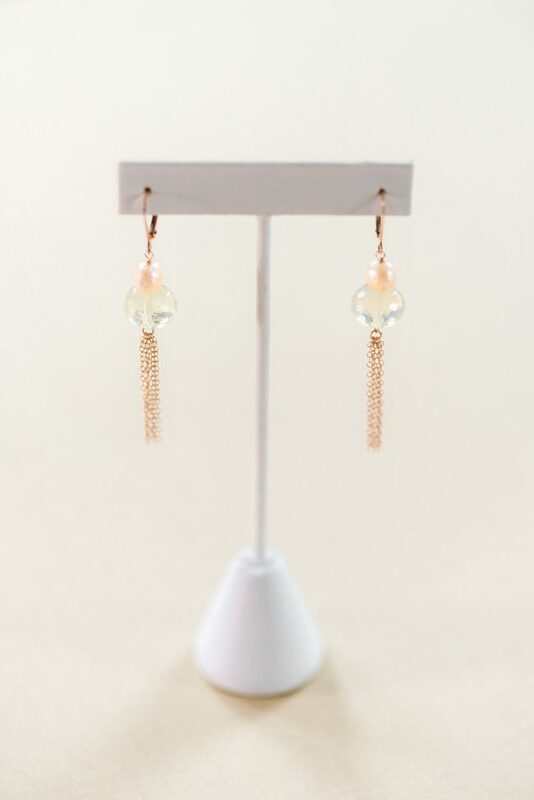 The BMA curated a great selection of earrings featuring a combination of gemstones, druzies, freshwater pearls, and rose gold elements. 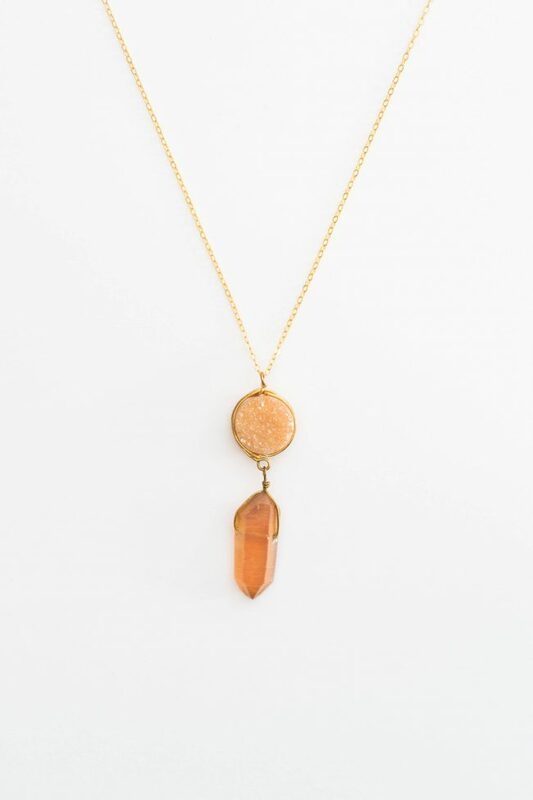 They continued the druzy jewelry theme with our Crystal Spike & Druzy Necklace. 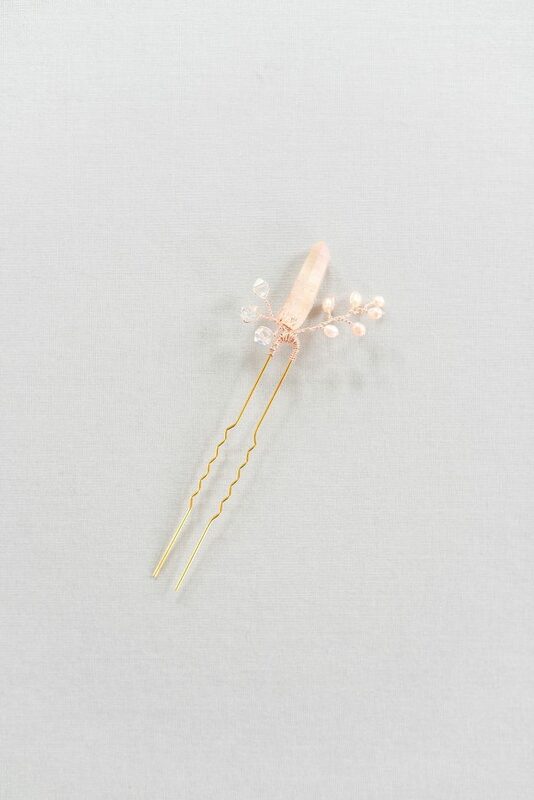 And they also fell in love with our raw crystal pieces, like the Pink Crystal Spike Necklace with Freshwater Pearl Accent. When it came to bracelets, the Baltimore Museum of Art wanted something a little different. They liked our Chunky Crystal & Pearl Link Bracelet, but requested a customization: rose gold metals. 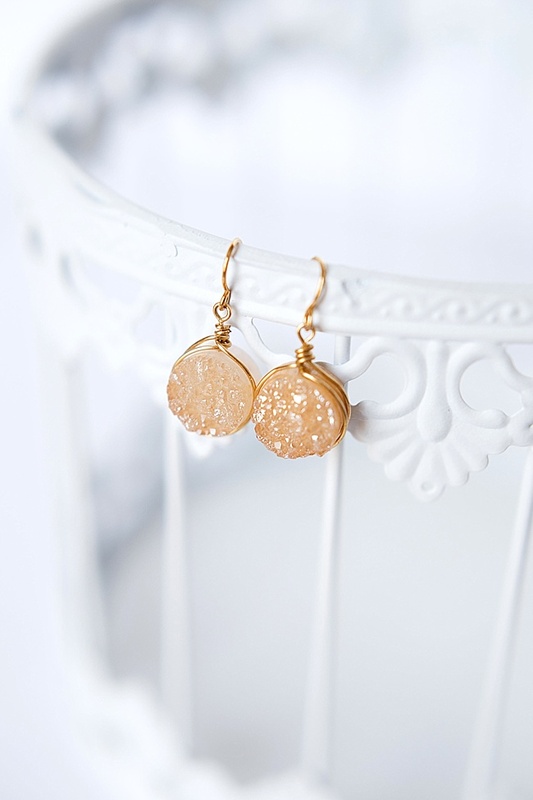 Since we’re custom jewelers at heart, we were happy to oblige! 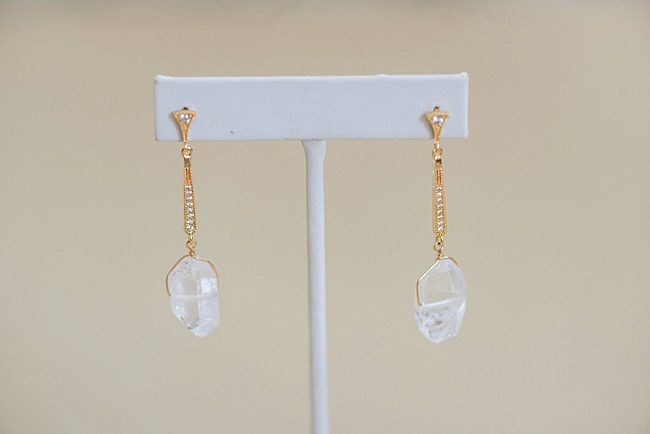 And we love the thought that the Baltimore Museum of Art has a piece of J’Adorn Designs jewelry that’s exclusive to their shop. 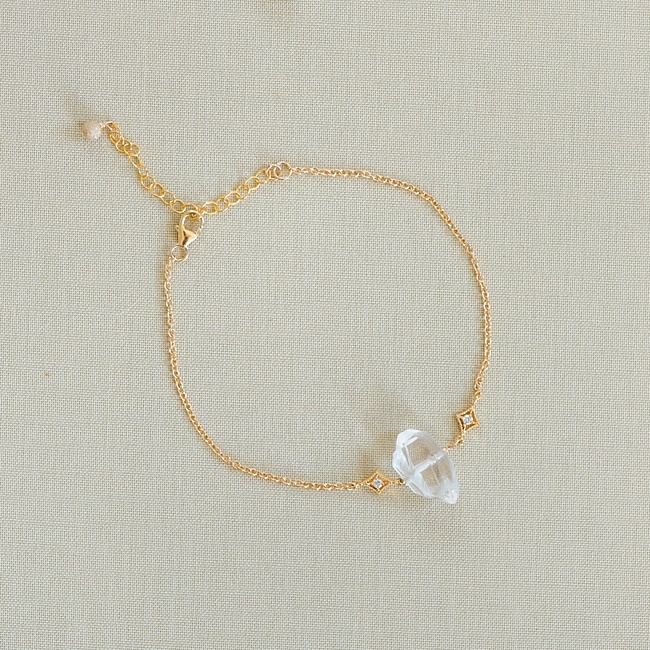 As of this blog’s publication date, you can’t find this bracelet in rose gold anywhere else! If you’re in the Baltimore area, we hope you will stop by the Baltimore Museum of Art this season! And if you’re a retailer who would like to carry our line in your shop, send us a message today! We would love to hear from you! 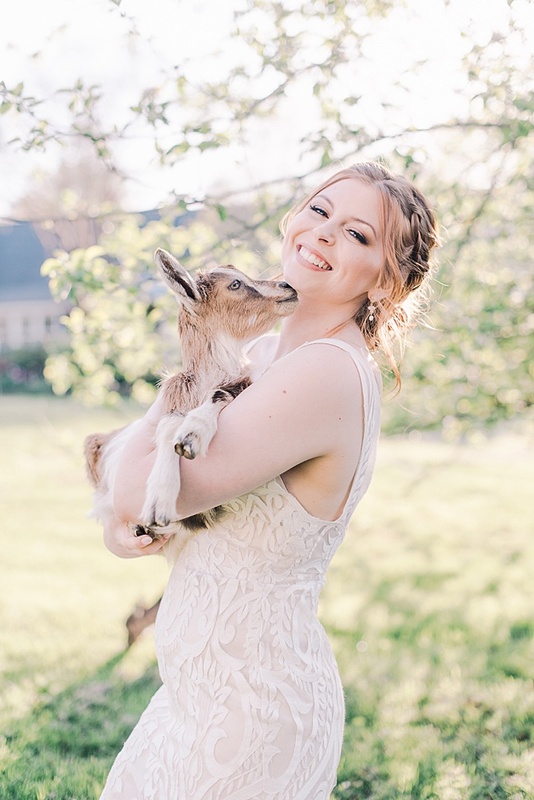 Rose Gold Bridal Accessories & Baby Goats! 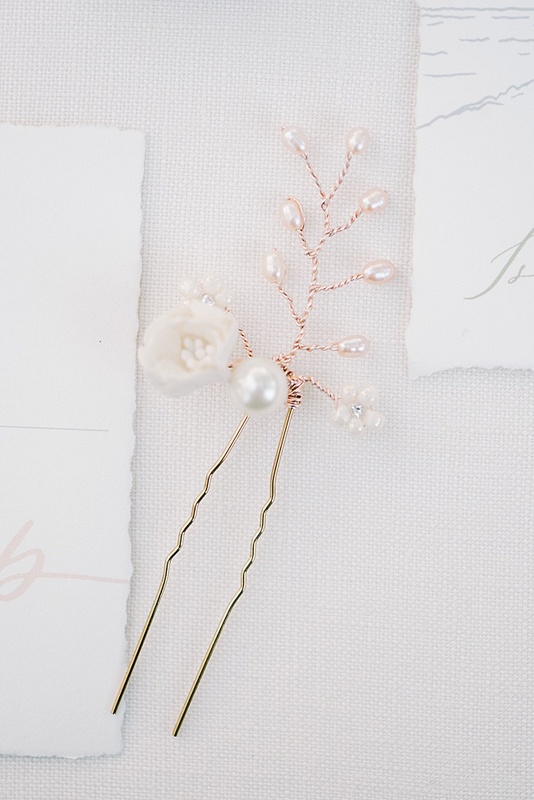 What do rose gold bridal accessories and baby goats have in common? 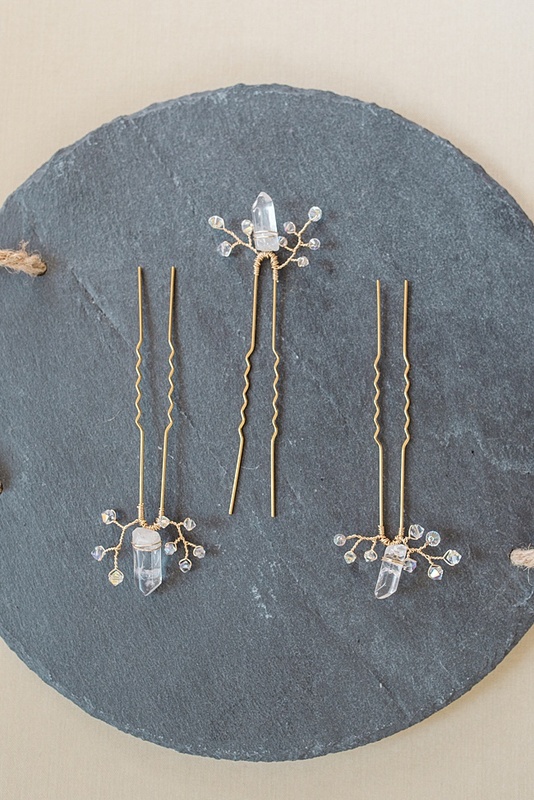 They both steal the show in this bridal style feature! 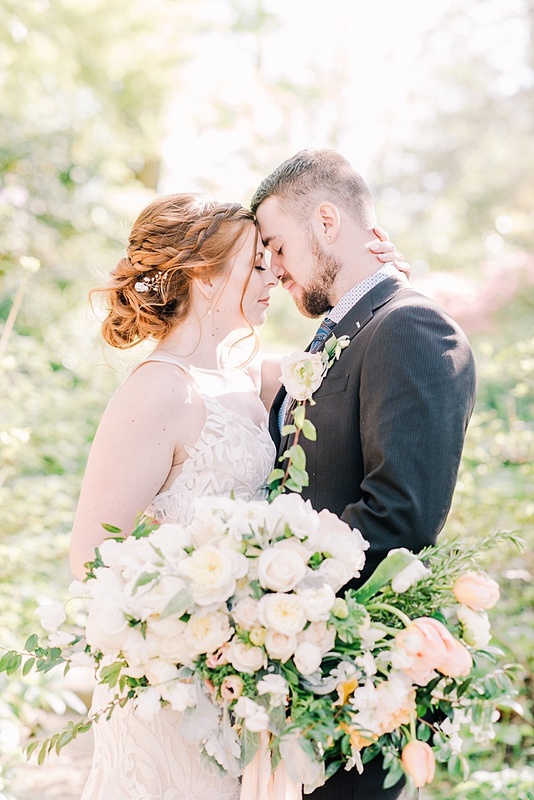 We collaborated with a great team of Maryland wedding vendors to create this warm, romantic styled photo session. 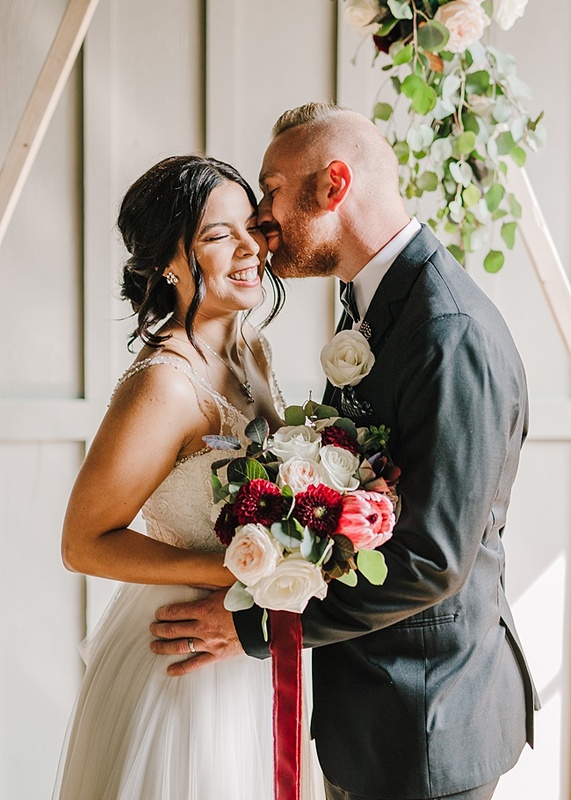 The Annapolis Wedding Blog recently published this editorial on their website, so today we’re sharing some of our favorite pictures! 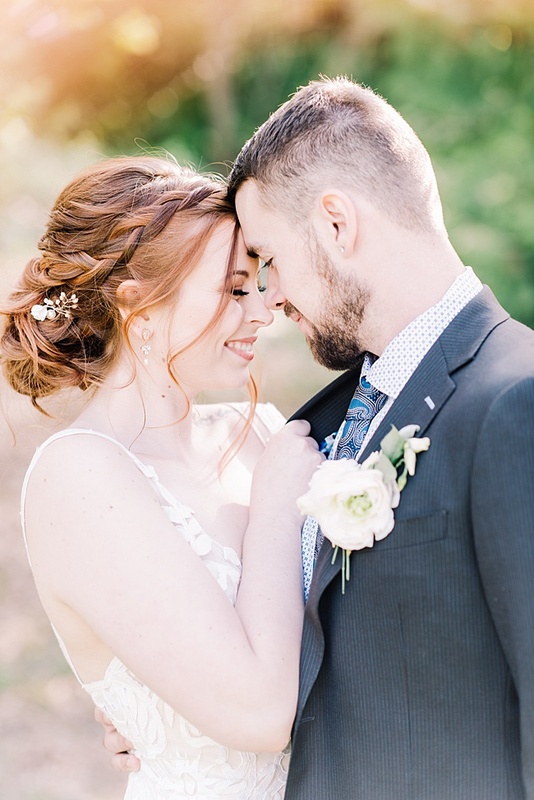 We adore the way Leah’s red hair looks with the warm tones in her rose gold bridal accessories. It’s a look that we’ve just can’t get enough of! 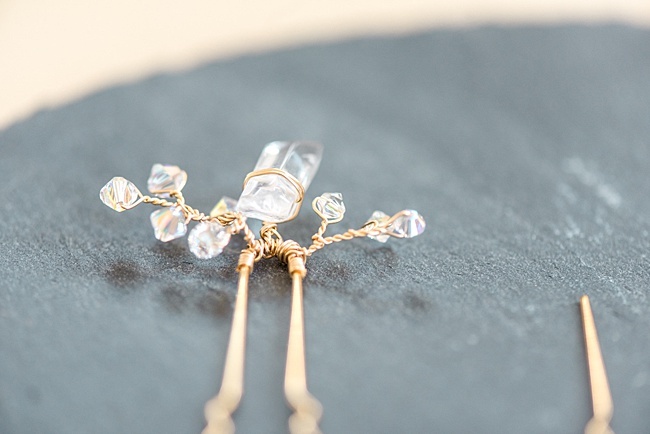 And we think the botanical elements of her wedding gown pair perfectly with the little sprouts featured in her earrings & floral hairpin. Seriously, how cute is this little guy!? Besides being adorable, the baby goat adds to the whimsical natural style of these photos. Sure, it would still be beautiful without the little goat. But why would you ever pass on that little face? We certainly don’t know! 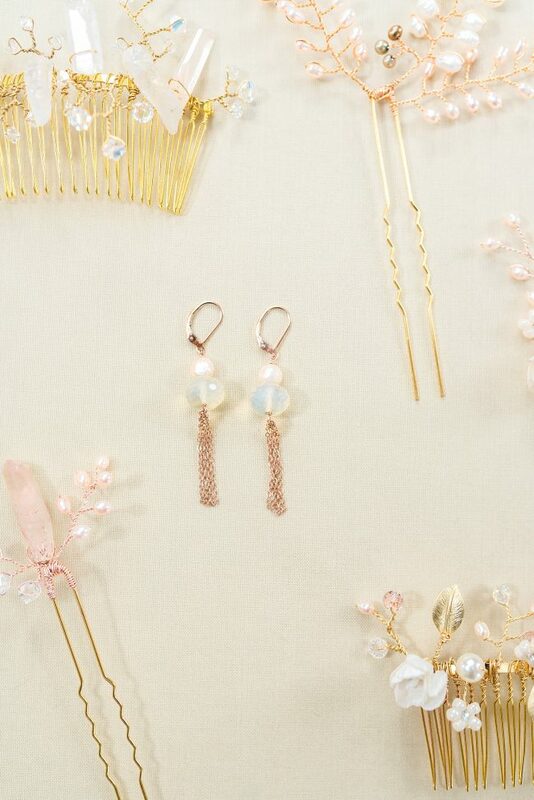 Would you like to wear these rose gold wedding accessories for your wedding day attire? Tell us what you think in the comments! 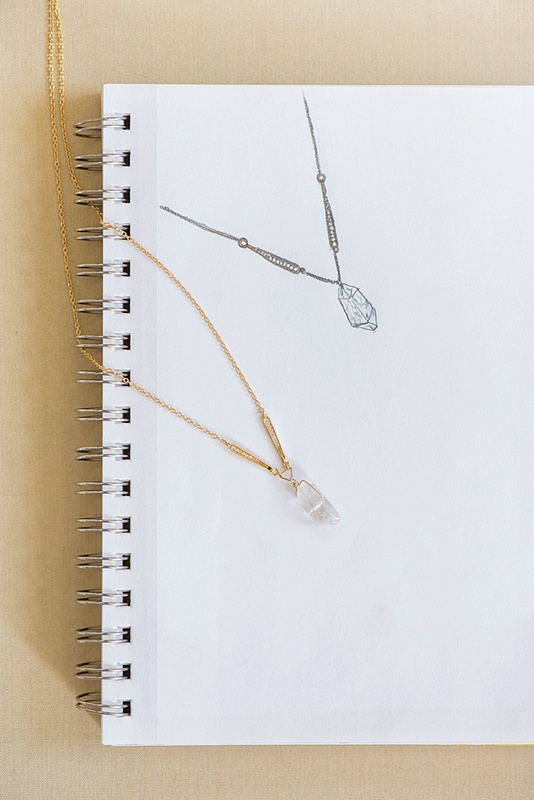 Or, send us a message to begin designing your ideal jewelry, perfectly customized to your taste. 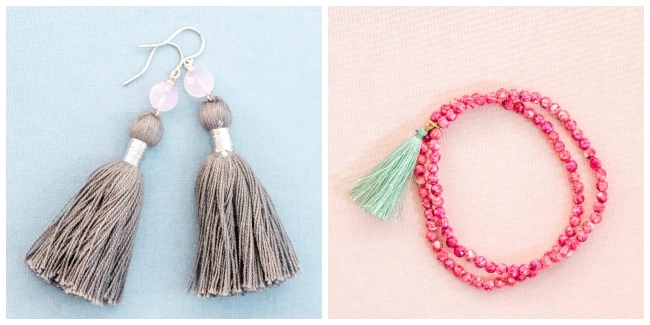 We love custom jewelry even more than baby goats. 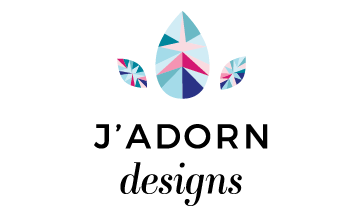 J’Adorn Designs is Popping Up This Fall! Here’s the important details you’ll need to join in the pop up shop fun! WHAT? HERE. a pop up shop is featuring lots of goodies, including clothing, home goods, art, accessories, and more from local artisans and makers! And here’s a great idea: Enjoy some of this beautiful fall weather and make a whole day of it by the water in Annapolis! 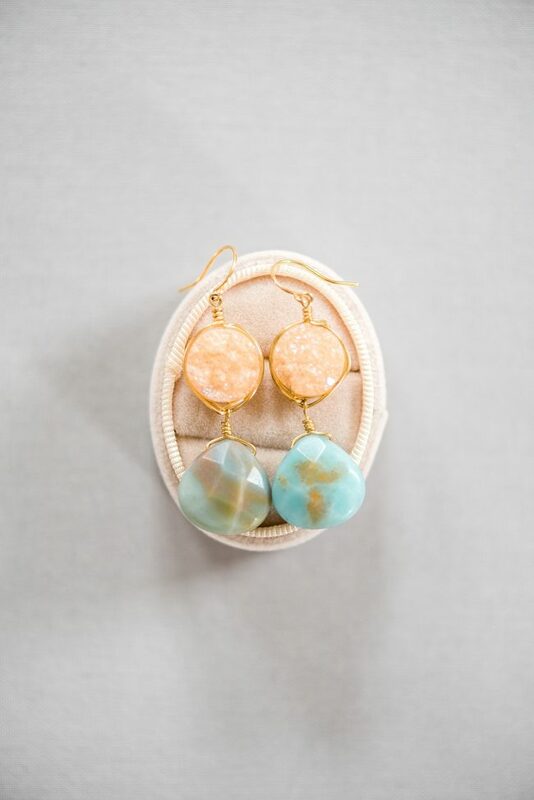 Or, stop by after work for happy hour & a little shopping with your friends!